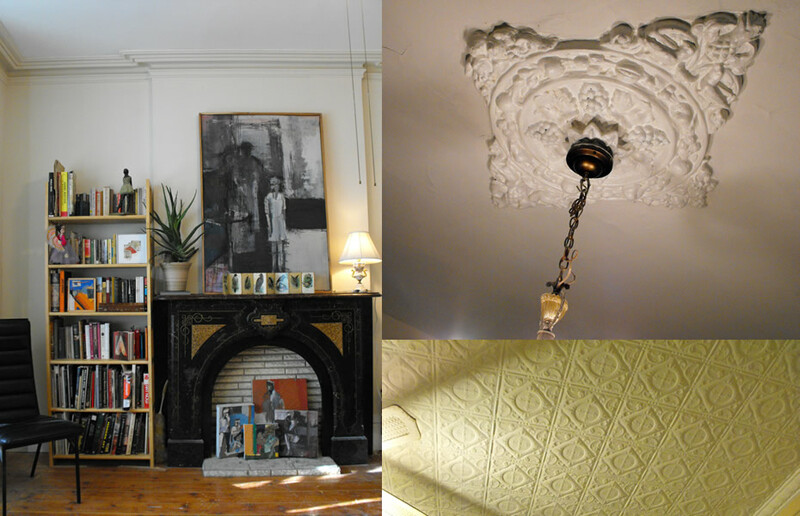 Details around the house: the fireplace, a ceiling medallion, a tin ceiling. 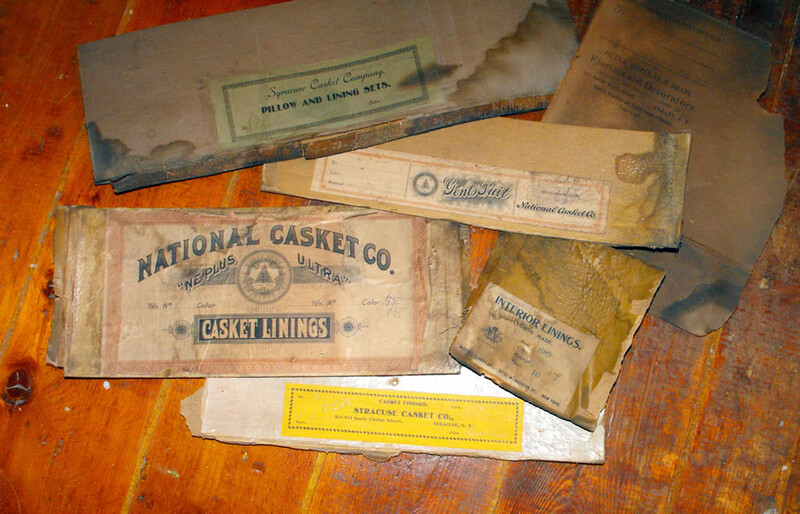 Undertaker papers found during a renovation. There are large format photos above -- scroll all the way up. My husband and I live in the Little Italy section of Troy. We've been in our new home since January 2013, but have lived in the neighborhood for the past five years. After renting the same apartment for 4 1/2 years, we purchased a home only two blocks from our rental. We really enjoy our neighborhood and the city of Troy in general. There is something very accessible about this city. We can walk to so many great places to eat and drink, and the architecture is amazing. It's wonderful to live in a diverse neighborhood with so much character, and we've developed wonderful friendships with our neighbors. It feels great to live right smack in the middle of somewhere. The untouched architectural elements. With this house we found exactly what we were looking for: a fixer upper that wasn't in terrible condition, but that hadn't been poorly renovated or gutted, so it retained the original details. We have tin ceilings, ceiling medallions, art deco chandeliers, beautiful hardwood floors, and working pocket doors. 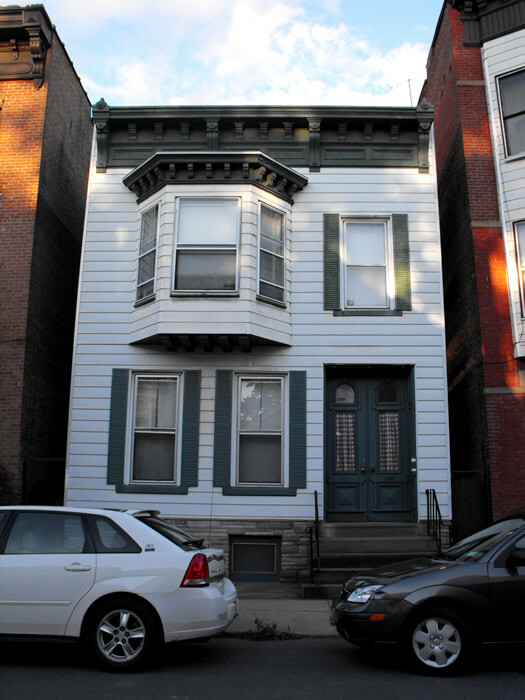 We would pitch it as a historical home: built sometime in the 1850s, our home has a lot of history and a lot of surprises! While insulating the porch we found a signed note from the person who put on the addition, stating that it was done in 1916. We did some research and discovered that the owner -- C. P. Bragle -- was an undertaker. Consequently, the walls were lined with all sorts of cardboard packaging salvaged from the undertaking business, including funeral garb, coffin liners, and envelopes from a florist. The home is also a great option, because it's a two-family with an income apartment. The extra income is a great safeguard in this economy. And for us, the rent money is really helping to fund home improvements! Do it! It is a great place to live and I can promise that it is never dull. We aren't too particular about this, but usually shoes on, except in really bad winter weather. Some scary stuff, like a house fire only a few blocks away, hearing gunshots for the first time, or the SWAT team that was in front of the house next to my old apartment. Some crazy stuff, like fireworks on the 4th of July right in the middle of the street or seeing someone dressed like Jesus standing on the corner. Some funny stuff, like the neighbors on the corner dancing to disco and funk on a warm evening or little neighborhood girls selling wildflowers door to door. Like I said, it's a diverse (and lively) neighborhood! Everybody stoop-sitting in the summer. The fact that people live here! Plus, our backyard is very quaint and surprisingly quiet and private. Since our home stands alone -- unattached to the neighboring buildings -- we have alleyways on either side. The alleyways are awesome because there is less garbage curbside, and it makes for a quiet backyard. It would be nice to see all the homes in as good of condition as some of the homes are. 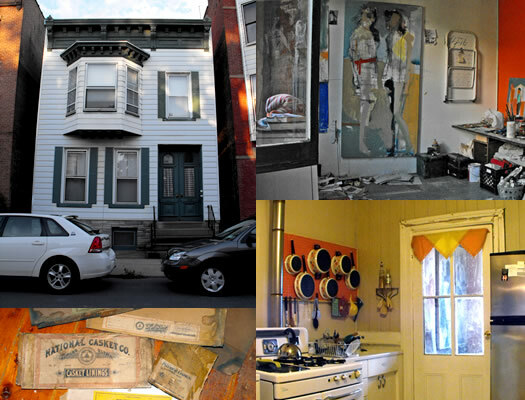 More and more people are buying homes in Troy -- most need some work, but they are inexpensive and beautiful. It's nice to see more buildings get the love they deserve, and I'd love to see that trend continue. Also, lessening the crime and upping police presence would be great. We would like to see more businesses integrated with the neighborhood (I can't wait for Flavor CafÃ© to reopen!). Both my husband and myself are practicing artists and the last thing we need in our home right now is more art! 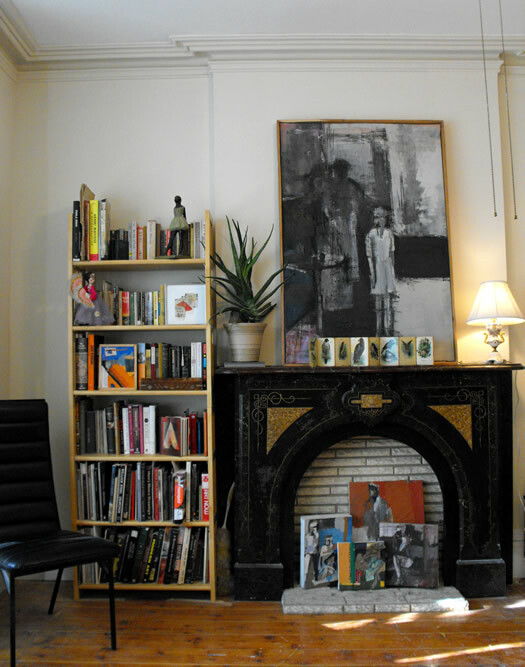 Being artists was actually a huge incentive to buy a home, because we were drowning in our own art. Now I have a work space and studio in our basement and Mike has a studio on the back porch. However, once we have our home closer to our desired state, we would both like to use money to purchase art and support other local artists. For example, Sean Calhoun just had some pretty amazing paintings at Prism Glassworks last Troy Night Out. If we were really to do some dreaming and could purchase any piece of art in the world I know I would love to own something by El Anatsui and Mike would love a painting by Frank Auerbach or any of the Bay Area figurative movement artists. Every year we have an epic Halloween party, it's our thing, and each one has been unique and a great memory. I'm excited to christen our new home with whatever Halloween 2013 brings. I have fabulous memories of being out in the neighborhood, unexpectedly running into friends and having it change the whole direction of the day or night. It is that spontaneity that makes living in Troy so fun and exciting. You never know where the day will take you. I have one friend that once called it "Friday Night Roulette" -- you just walk around until you find someone you know! You can follow along with Renata and Mike's renovations at Nova Domo in Troia, where Renata is blogging their home ownership journey. Nicole Correia writes at It's Loverly and is on Twitter as @nicorreia. I love seeing what is happening with Troy! Yes, Troy has unbelievable architecture and a beautiful waterfront, but itâ€™s the people who provide it its character and charm! Love those retro metal kitchen cabinets! Kudos!